IWF - Should Over-the-Top College Acceptance Letters Woo Students? Should Over-the-Top College Acceptance Letters Woo Students? Imagine a car pulls up to your house, and strangers emerge from the vehicle shouting your name while holding balloons and a video camera to catch all of the excitement. A person dressed in a furry mascot costume cartwheels toward you. Someone hands you an over-sized envelope. This may sound like an elaborate, over-the-top marriage proposal, and you might be expecting a significant other to pop out of the bushes with an engagement ring. But when this happened to one Massachusetts high-school senior earlier this month, it was a squad of professionals from Wheaton College who were greeting her. The envelope contained a hand-delivered acceptance letter. In the end, however, it didn’t make a difference. Despite being courted by a group that included the college’s president, admissions chief, and mascot, the student didn’t say yes. She preferred waiting until she’d heard from the other schools she applied to before making a decision. This is part of a growing trend among colleges and universities across the U.S., which are delivering small batches of acceptance letters a la the Publisher’s Clearing House. Each school puts its own unique spin on the process, with robotics-heavy MIT delivering acceptance letters using a drone that looks eerily similar to BB-8 from Star Wars: The Force Awakens. 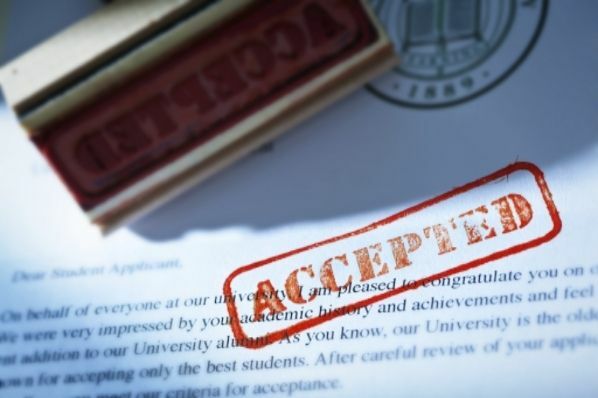 By appealing to emotion and the excitement of these personalized acceptances, colleges think they can edge out their competitors and entice applicants to enroll. These splashy proposals also generate viral content, giving a boost to colleges’ social media presence. But all of that distracts from the bigger picture. Emotion shouldn’t be the driving factor behind a young person’s college decision. Instead, they must ask about the quality of instruction and relevance of the material taught, or whether the school has strong professional networks that a student can tap to find jobs and internships. Will a student graduate with the skills she needs to land her first job? Will a student go into debt for decades to pay for that education? The last question especially matters. The average student from the class of 2015 graduated with about $35,000 worth of student debt. Meanwhile, 18-29 year-olds face an unemployment rate of 12.8 percent, according to analysis by Generation Opportunity, the organization I work for. It’s hard to make a student loan payment with no income or with a part-time salary. College graduates and non-graduates are carrying our nation’s aggregated $1.2 trillion of student loan debt around their necks like a millstone. This debt is a contributing factor to why Millennials are not purchasing homes, tying the knot, or starting businesses at the same frequency as past generations. Student loan debt has skyrocketed 500 percent since 1985, totally eclipsing the overall costs of housing, gas, and food. Washington’s direct influence in the financing of higher education is a driver of the rising cost of college. The New York Fed even observed that for every dollar of federal aid, colleges and universities raise tuition by 55 to 65 cents. They no longer have an incentive to control costs. Excessive money spent on creating the “college experience” also contributes to the unaffordability of higher education today. The extravagant student unions and rock climbing walls that Forbes contributor and Bold editor Carrie Sheffield points out illustrate that schools often emphasize the non-essential over what really matters. College students like these perks, but they’re paying far more for them than they realize. In addition, administrative personnel costs add to the hefty tuition bills that come in the mail. Administrative positions grew 10 times faster than the growth of tenured faculty (or professors) from 1993 to 2009. From high-ranking officials to their staff, the growth in people to improve the “college experience” adds up. Administrative staff aren’t just deans and directors—they’re also the people holding the balloons when school acceptance squads go patrolling this spring to motivate unsuspecting college seniors into enrolling at their schools. If you knew your college tuition was paying as much for this extravagance as it was for your actual education, would you still feel like you were getting a good deal? Things like these hand-delivered acceptances may produce a warm and fuzzy feeling for some, but they’re a visible reminder that schools are no longer competing for the best students based upon academic rigor, job placement success, or cost. Instead, they’re appealing to our generation’s desire to feel special. But there’s nothing special about a five-figure tuition bill or four-figure monthly student loan payment. If college representatives are going to show up at your door, they better have a high-value academic experience to offer. 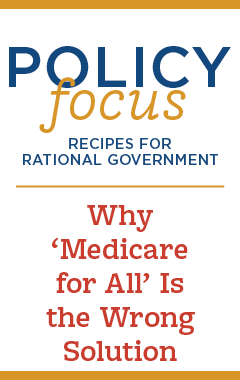 Otherwise, they’re just peddling snake oil.